A new community volunteer project has been launched to help tackle litter in Sandwell. 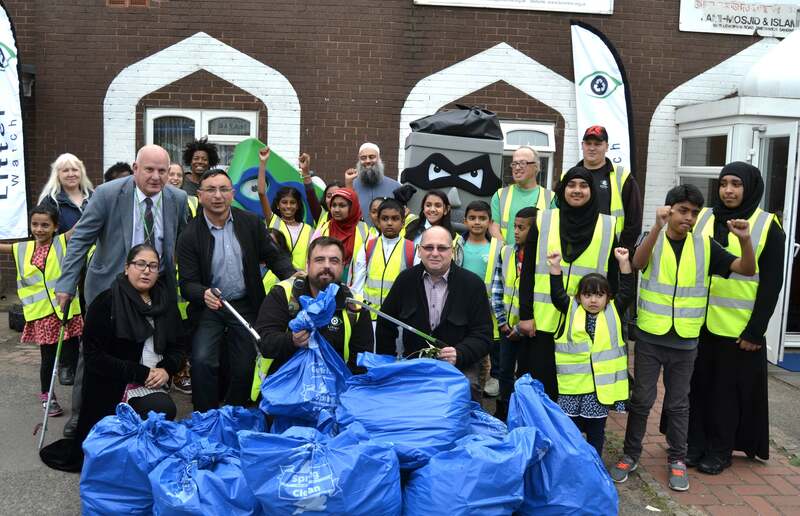 Families at the Bangladeshi Islamic Centre in Smethwick joined in a litter pick in Lewisham Road to officially launch the Community Litterpicking Project. The project seeks to recruit at least one volunteer group in each of Sandwell’s six towns helping out with litter picking at green spaces and community areas. There will also be talks and recycling workshops at schools. Sandwell Council’s environment champion Councillor Bill Cherrington said: “We know litter is a key concern for people so we’ve linked up with Litterwatch, our waste partner Serco and the local community to see what more can be done. “With this project, we are building on our very successful annual Big Spring Clean campaign to harness the enthusiasm of local community volunteers who’ve told us they want to get more involved in tackling the problem. “This is on top of our existing cleansing service provided by our waste partner Serco, which will provide the equipment to volunteers and dispose of the litter collected from public land. “The groups will also be trying to recycle as much litter as possible. The project, which will initially run until March 2019, is being managed by charity Litterwatch and the council’s waste team. Sandwell Council is supporting the project through its Local Area Budget scheme with a £15,360 grant (£2,560 for each town) and the groups will also work with local businesses to seek sponsorship and support. To find out more and get involved in the project, contact Litterwatch by emailing tiptonlitter@aol.com or call 0121 557 6970.